There’s no better time to give your room a simple, yet effective, update with wallpaper on the “fifth wall.” Learn the benefits and how to wallpaper your ceiling in this house tip. Wallpaper can sometimes be overwhelming, but ceiling wallpaper has a subtle presence that provides an accent on the overall mood of a room. Read on to learn why ceiling wallpaper is becoming a popular design choice, and how to use it in your own home. Wallpaper can be instrumental in changing the perception of a space. Unlike regular wallpaper, which can make a small room seem suffocating and a large room look palatial, ceiling wallpaper suits rooms of all sizes. Ceiling wallpaper featuring a vibrant floral design can make a dramatic statement, and a repetitive beige pattern may blend in to the room. Choosing the right design for your ceiling wallpaper makes a world of a difference. 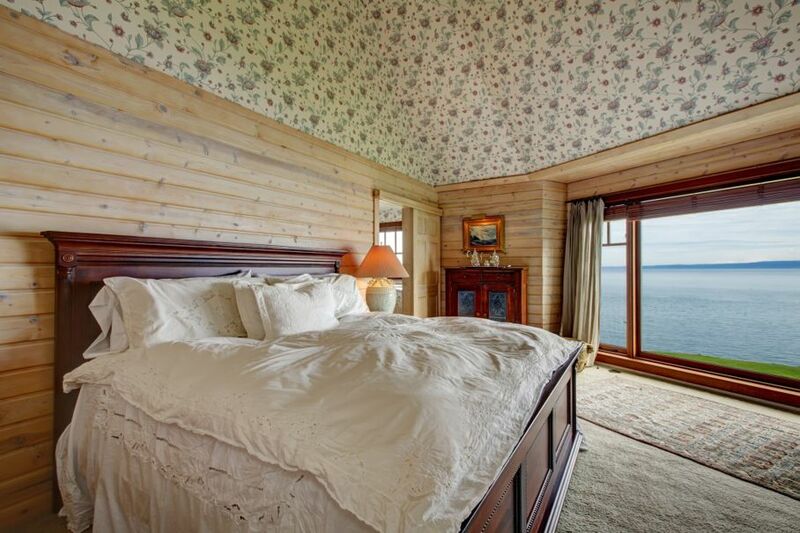 If you’re using ceiling wallpaper in your bedroom, you’ll want it to be mildly colorful yet calming. Geometric patterns or textured wallpaper in pastel colors are ideal for bedrooms. We suggest you resist the itch to pick starry night or other bold sky designs because they can get frustrating at times. For common areas though, bold designs, done properly, add panache. Tropical designs – one of the top interior design trends this year – are something you want for your living room. A wide variety of floral designs with generous shades of green will give your space a fresh look. It will especially work well with rooms that have earthy colors, designs, and wooden furniture. Putting up a ceiling wallpaper is simple five step process. Clear the room of all furniture and the ceiling of every hook and fixture. Also, lay out a wide sheet on the floor to avoid any mess. 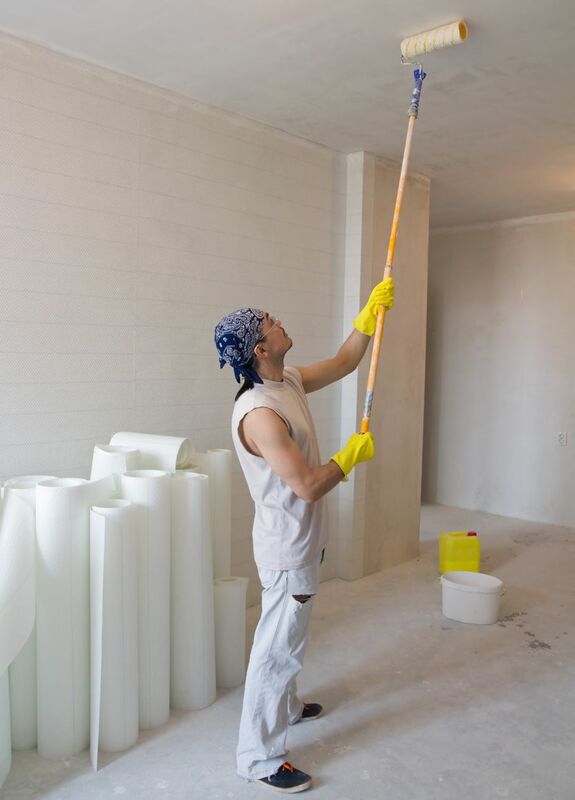 Clean the ceiling and apply a quality primer. A primer ensures your wallpaper sticks well to every kind of paint, and also makes it easier to remove at a later date. Once you’ve rolled on the primer, measure the length and width of the ceiling and compare it to the wallpaper you’ve chosen. You’ll then need to mark the point where the first strip must be placed. Most wallpapers require you to glue the back with a paintbrush or a roller and fold it over on itself, but we suggest you check your wallpaper case for specific instructions. Once you’ve let it sit for five minutes, the glue is activated and the wallpaper’s ready for use. The next step, which is applying the wallpaper, is time consuming and you’ll need another person to help. Unfold the wallpaper and lay it gently against corner you’re starting with. Have the other person hold up the part of the wallpaper that hasn’t been applied. 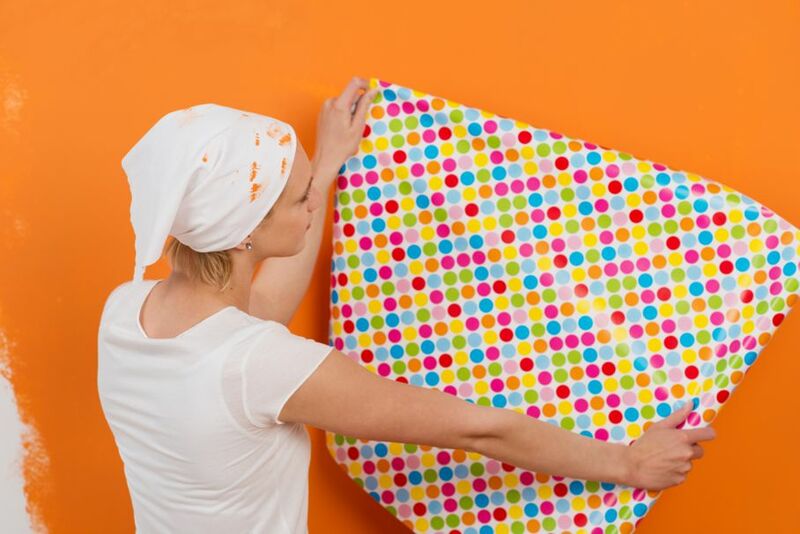 As you stick the wallpaper onto the ceiling, check for air bubbles and smooth it out gradually with a damp sponge. If it’s a textured wallpaper, run your sponge along the even areas of the design. The damp sponge also helps remove any excess glue from the wallpaper. Run the sponge along the wallpaper thoroughly to ensure all the air bubbles are pushed out (just like you would while applying a screen guard to your phone). Once you’ve repeated this process for each strip, even the borders out. If you want to get really creative with your ceilings, get some funky 3D wallpapers! But before that, do some additional research!